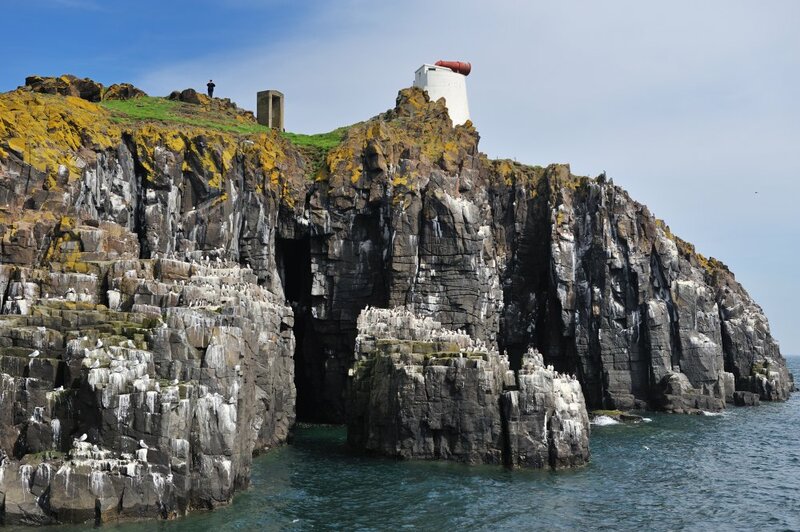 David Steel is the Reserve Manager on the Isle of May, based on the island itself from March to October. Here he gives us an update on a busy August as visiting birds have popped in and the results of bird counts filter through. Welcome to autumn. Confused? Well in the natural world August is technically ‘autumn’ as migrant birds start moving south, leaving behind the British Isles on a journey which will take many into Africa and beyond. We’ve already seen Swifts depart these shores and in recent weeks we’ve seen plenty of small birds arrive on the Isle of May on their way south. 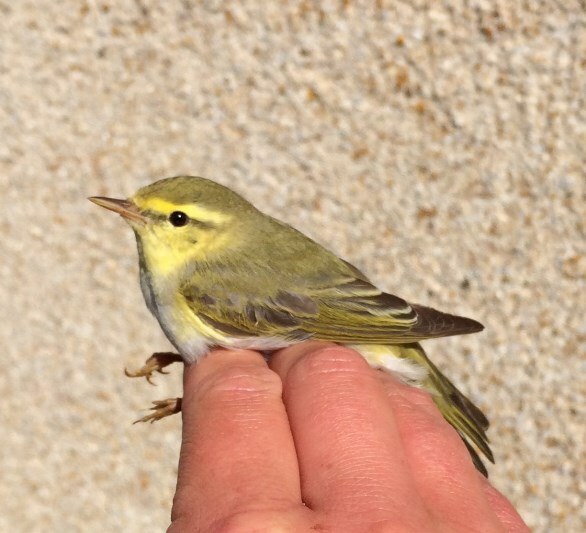 Over the last few days with favourable weather conditions, a good scattering of migrants have arrived including the autumn’s first Wood Warbler, Reed Warbler and Lesser Whitethroat. Throw in up to twenty Willow Warblers, Whitethroat and Chiffchaffs and you can see that the island has changed from a seabird colony to a migrant service station. Fulmars are one of the longest lived seabirds in Britain, with an average lifespan of around 44 years. They are relative of the Albatross (a member of the tubenose family), fire oily vomit at predators, fly incredible distances and despite all this, are probably one of the most overlooked birds on the May. They are a very slow growing species and are one of the last seabirds to leave the island; with an average incubation of around 50 days and another 50 days of growing before the chick is ready to fledge. They are the only species that have had a decline in their population this year, with a drop of 25 pairs, bringing the figure to a round total of 300 pairs breeding. 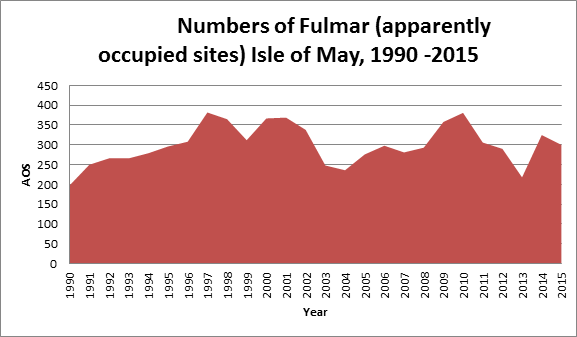 However this is only a small fluctuation and can vary slightly year on year, with the highest recorded 382 (1997) to 198 (1990) and 218 (2013). The yearly average is around 300 pairs in recent years. 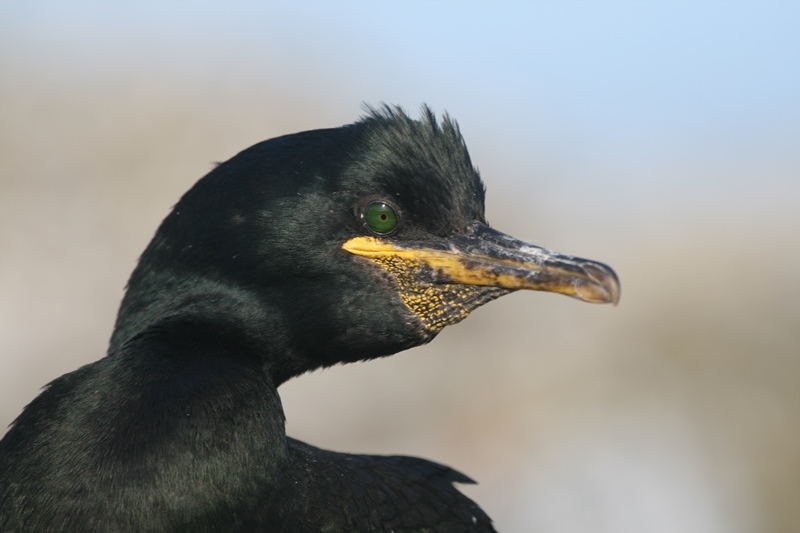 The shag population on the May shows a pattern of general decline from the 1,600 pairs that bred in the early 1990s and certainly wasn’t helped by a big winter crash in 2012/13, which saw many dead along the coast of the UK and their wintering grounds. 2013 was one of the lowest counts of pairs in history, when only 322 pairs bred. However, with an increase in 2014 to 338 pairs and another increase this season to 401 pairs, hopefully the numbers are heading the back in the right direction. These birds often feed on the lower levels on the ocean, and winter storms that churn up the sea floor mean it can be much harder to find food. This on top of cold weather, and high winds, can lead to starvation and death. A good percentage of the Shags on the Isle of May are colour ringed as part of a study looking into their winter survival and dispersal from colonies. Hopefully this project will continue to help us gain an insight into our breeding Shag population. Another success story is the kittiwake, which have had an exceptional year in terms of the number breeding. They have built nests in areas where they haven’t been present for some years, and the population has increased a whopping 39% to 3,433 nesting pairs. This is highest number recorded since 2007. We are really pleased with the figure because the Kittiwakes have had some bad seasons of late. This increase in the population is reassuring that birds are returning back to the May to breed, whether they are adults surviving the winter or young new birds that are starting to breed. Let’s finish with some great news. Both Razorbills and Guillemots are up! The Razorbill population has increased 7% from last year to 3,202 pairs. This is the highest count since 2005 when 4,713 pairs were recorded. 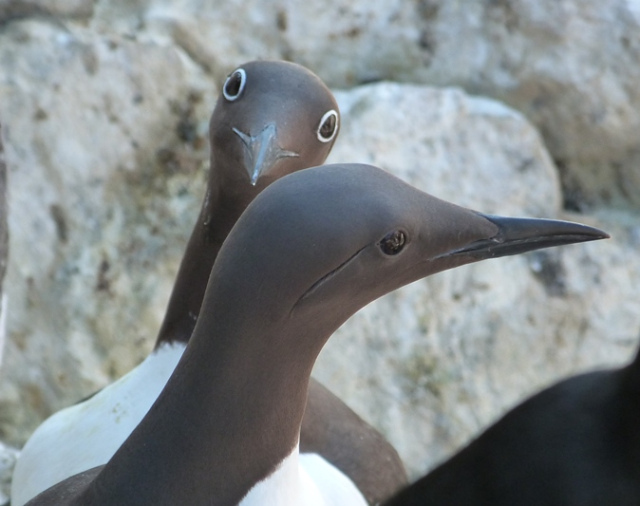 The Guillemot population has also increased, to 15,945 pairs; an increase of 12% from 2014. Again, this is the highest recorded number since 2005. These birds have strong site-fidelity, with chicks often returning to breed in the same small area in which they were born. So this population increase could be a reflection of good breeding seasons in recent years, as birds generally return to breed when they are around four years old. There is still time to get to visit the Isle of May. We would be delighted to welcome you. This entry was posted in National Nature Reserves and tagged chiffchaff, fulmar, Isle of May, kingfisher, kittiwake, lesser whitethroat, quail, razorbill, red kite, reed warbler, ruff, shag, Wood warbler. Bookmark the permalink.